Do you have thousands of rich media files that you can’t make sense of? Do you find yourself breaking into a sweat when you try to find a file? Are you frequently unsure which file is the latest version? Are you secretly hoarding photos, videos and digital files on your hard drive so none of your colleagues can find them? If so, then you might be a digital media hoarder. Don’t worry, you’re not alone. 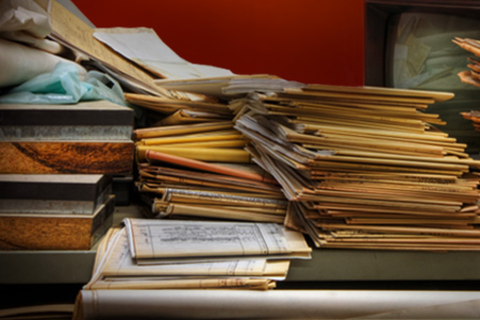 With the explosion of digital media assets over the past decade, there are hoarders everywhere. In this Core Conversation, Edward Smith of Extensis presents a five-step program to get your house of assets back in order and your organization on the path to recovery! Edward Smith has a background as a Mac OS X and Windows system engineer, technical trainer, and DAM consultant. In his current position at Extensis, Smith is the in-house expert for all things digital asset management related and contributor to the DAM Learning Center. Edward often conducts customer training sessions, including product implementation tutorials and presentations at relevant conferences including Macworld Expo and the Extensis DAM conferences. Edward holds a BS in Business Management and certifications from Apple, Adobe, and Microsoft. As a writer, speaker and general software nerd, Jim Kidwell has written and spoken extensively on digital asset management and fonts in creative workflows. Published in over seven languages, Jim has a unique perspective about how effective asset management can affect all levels of an organization – from the legal, creative and branding standpoints. By day, he works to make web font delivery services and font management applications the best that they can be.